It’s a common practice for podcasters to work together from remote locations. But this type of setup presents some challenges. Different tools and techniques have been developed over time to try and bridge the gap between distant podcast participants. But none of these solutions has truly become the “killer app” for podcasters who need to work with cohosts and guests in remote locations. That’s where SquadCast comes in. I was first introduced to SquadCast at this year’s Podcast Movement conference in Anaheim. The story behind SquadCast goes like this: The founders of SquadCast were working on a collaborative audio project and all of the participants were in separate locations. They couldn’t find any existing tools that really fit their needs, so they started building their own solution. I recently took part in a demo of a SquadCast session and was impressed by the service’s ease of use and reliability. During the demo, I connected remotely with the SquadCast team. The SquadCast service recorded both sides of our conversation, and when the call was finished, the audio was processed quickly with excellent sound quality. I also learned about features the team is planning on adding to the service in the future. SquadCast looks like a very well thought out product so far, and its creators are taking regular feedback from experienced podcasters to refine the service into what will likely become a valuable tool for podcasters. SquadCast is currently in beta but it is open to new signups. The service costs $20/month or $200/year, with the first month’s service free. SquadCast recording sessions currently allow up to four participants, with a maximum recording time of two hours. I’ve been assured that these limits will go up after the service has officially launched. 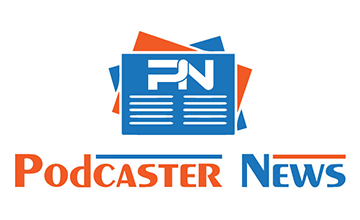 SoundCloud’s ongoing demise has been a regular topic of coverage here at Podcaster News over the last few months. It seems like the Berlin-based music streaming service and podcast hosting provider just continues to slide ever deeper into the abyss. The most recent report came earlier today, and this could be the big one for SoundCloud. The proverbial final nail in SoundCloud’s coffin. That big server in the sky where technology firms go when the VC runs out. The end. …the incoming ‘rescue’ investors Raine Group and Temasek would receive preferential treatment. Which basically means that other investors would be de-prioritized, receive worsened terms, and have a harder time recovering their cash. …if the rescue package isn’t approved, the company won’t have enough money to survive. It would introduce a dangerous tailspin as employees jumped ship and the money dwindled to zero. The crucial vote on whether or not to approve the rescue funding happens tomorrow, Friday, August 11th. If the rescue funding doesn’t go thru, SoundCloud will likely be forced to shut down the same day. The German-born streaming company has informed its staff today that 173 jobs are being cut, from a total headcount of 420. 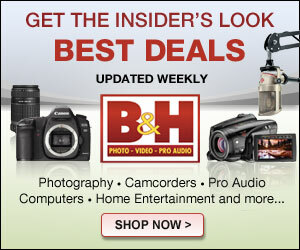 The business will consolidate its operation across its New York and Berlin offices. Another report that surfaced in the wake of SoundCloud’s layoffs claims that the company only has enough money to operate until the beginning of the fourth quarter of 2017. If this is true, the company has a few months left before it may need to shut down completely. If there’s any light at the end of SoundCloud’s tunnel, it comes from rumors that France-based music streaming service Deezer might buy SoundCloud. While Deezer does seem like a good match for the music side of SoundCloud’s business, Deezer didn’t do any favors for Stitcher after that acquisition (Deezer later sold Stitcher to Scripps/Midroll). Either way, the future looks very bleak for SoundCloud as a podcasting platform. Spotify made a splash back in 2015 when it announced that it would be bringing podcasts to its popular media-streaming platform. During that announcement, Spotify indicated it would be working with a select group of partners to bring the first round of podcasts into its system. It was unclear at the time if Spotify would ever host an open podcast directory similar to iTunes or TuneIn, or if it would instead be a tiny walled garden, accessible to only a few podcast producers. Despite pleas from the podcasting community, Spotify remained conspicuously silent on whether or not the company would ever take open submissions from podcasters. In the two years following that initial announcement, Spotify continued to experiment with how to handle podcasts within its suite of cross-platform apps. But the Sweden-based streaming service never made much in the way of official announcements about podcasting. And while it seems Spotify’s general take on podcasting hasn’t changed all that much, the company has done one thing, albeit quietly, that podcasters have been asking for. Spotify has created an online submission form podcasters can use to request their shows be included within the platform’s podcast offering. Those who elect to submit a podcast to Spotify should proceed with realistic expectations. The form warns that, “All submissions will be reviewed, and you’ll be notified once approved. Please note submission does not guarantee automatic approval.” And while all podcast-syndication platforms have their own internal requirements for approval, Spotify hasn’t publicized exactly what its criteria is for an acceptable podcast. One bit of advice that has floated around for some time is that, shows with little or no music tend to get Spotify’s approval more often than shows that use a lot of music. Overall, it seems like Spotify still has a long way to go in order to truly embrace podcasting. But its willingness to consider open submissions is a step in the right direction. UPDATE: Podcast services provider Blubrry is now also offering Spotify submission to its media hosting customers. The Mozilla Foundation has been an integral force on the internet since… well, the beginning of the internet. The organization developed the first widely used web browser, Netscape, over tweety years ago. Today, Mozilla is known for its continuing work on the popular Firefox browser, along with many other internet-related projects. Let’s face it: our online life is real life. We walk, talk, work, LOL and even love on the Internet — but we don’t always treat it like real life. In IRL, an original podcast from Mozilla, host Veronica Belmont explores this disconnect with stories from the wilds of the Web, and gets to the bottom of online issues that affect us all. Veronica Belmont, host of the new IRL podcast, has created content in the past for CNET, TWiT, Sony, and Revision3. According to her bio on the IRL podcast site, Belmont is also a Product Manager at Growbot.io, as well as a startup advisor, and board member at about.me. Listeners can subscribe to IRL podcast thru Apple Podcasts, Spotify, and other directories. Making podcast audio sharable online is certainly a worthwhile task. When was the last time a piece of audio went viral? After all, it can be tough to easily share long-form content. Or more specifically, segments of that long-form content. It’s time for our team to move on to new adventures. 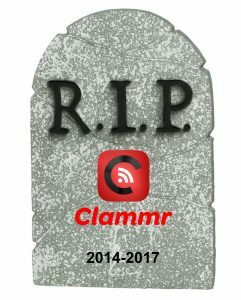 We write to inform you that we will be shutting down the Clammr service at 11:59pm ET on 2 July 2017. Thank you for all of the creativity and joy that you have shared with the world using Clammr. We’ve been inspired by the community every day and cherish having had the opportunity to get to know so many amazing and talented people. We realize that some of you may wish to keep the Clammr clips you created. We have posted instructions with a hack on how to do that in Section XIX of the User Guide. In short, you need to take three steps (1) share the clip to twitter using the Clammr app; (2) go to twitter and copy the url of the tweet; (3) enter the url on a tweet-to-MP4 conversion site to generate an MP4 video file that you can download. The topic of SoundCloud’s shaky financial future has been covered here often in the past. And the latest news to come out of the Berlin-based music/podcast distribution company doesn’t do much to improve SoundCloud’s outlook. SoundCloud has deferred salary reviews until the next funding round is complete. Over the last few years, travel between offices has been restricted to business critical travel only. More expensive food items have started disappearing from our kitchen. Employees used to get a small bottle of champagne on their birthdays & employment anniversaries. This doesn’t happen anymore. All of the above feels reasonable. However, they recently announced that the July 1 salary review that everyone was promised will be deferred. There is no information about back pay or a date about when the next salary review will happen. Salary increases are predicated on the next round of funding. They anticipate that the round will close over the next couple of months, if not weeks. I’m sure that everyone here will have been in similar situations before. What did you do? And, how did you decide whether to continue working or start looking for other opportunities. It’s worth noting that this is an anonymous post on the internet. There’s no way to confirm its authenticity. In the replies that follow the original post, other Hacker News users condemn throwaway-sc for even mentioning his employer’s name. But if this post holds any voracity, it proves what we probably already knew; SoundCloud is still struggling financially and will need to raise more funding in order to keep going. The company’s already gone thru multiple rounds of venture capital and debt funding. How much longer can SoundCloud continue to operate on borrowed cash? A new offering at this year’s Podcast Movement conference in California is the Ignite event that will be held the night before the conference officially opens. Ignite is described as a series of five-minute presentations (called Sparks) consisting of 20 slides that automatically advance every fifteen seconds. Sparks are designed to keep things moving so presenters stay on their toes and audience members remain engaged. Spark submissions for Podcast Movement’s Ignite 2017 have closed. Now conference organizers are asking registered attendees of Podcast Movement to vote on the Sparks that have been submitted. On the voting form, attendees are shown a list of different Sparks with descriptions provided by the presenters who created them. Attendees are asked to select one of three choices for each Spark: Gotta See It, Sounds Okay, and Meh, I’ll Pass. You cannot post this on your blog or share it in your podcast asking the public for votes, however, do encourage your fellow PM attendees to head this way and vote for their favorites! The Spark voting form asks for an e-mail address, and that’s presumably how Podcast Movement will determine which votes are legit and which are not. The voting form for Ignite Podcast Movement 2017 can be found here. I would like to invite anyone here who’s interested to contribute. I would especially love it if someone made an Android client. I chose to make it open source so that it can have maximum benefit to the community. Tung is a streaming podcast player designed to help you discover the best podcasts – the ones recommended by your peers and friends! With Tung you get a feed of what your friends are recommending, commenting on and sharing clips of. While listening to a podcast, you can easily make an audio clip of any moment you find interesting and share it directly to Twitter and Facebook. And in the feed you can listen to clips your friends made of the most interesting or funny moments in a podcast. Anyone interested in contributing to the further development of Tung as an open source project can do so via Github. The Tung app itself can be accessed thru the links above or on the iOS App Store.